The illusion that happily ever after is always rainbows and sunshine is foolish. I know I post a lot about smiles and happiness, but the truth is everything is not always happy. I believe it is possible to smile through sorrow. Most days will be amazing but some will fall short of that glory. This morning, I asked a friend how she was doing. She replied, “Hurt, but I’m ok”. This is the attitude we must have to keep from drowning. 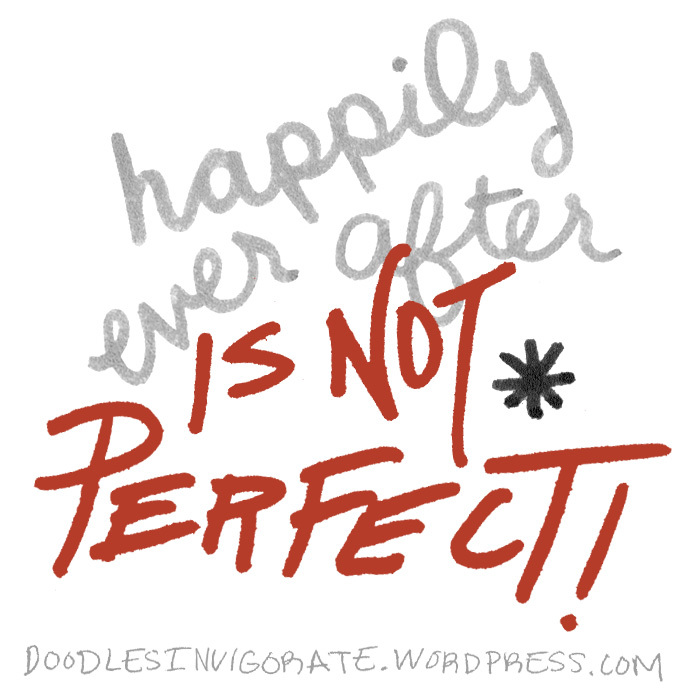 Happily ever after is not perfect! always you are so wise. 🙂 I can’t take all the credit. It’s a gift from God. Yes! Life: Hard AND Beautiful! Doesn’t have to be Either/Or! Yup, the beauty of life. I feel so fortunate to be with the love of my life. We don’t always have smiles and laughter. But what we do have, is the commitment to go through the good and the bad together. We never keep secrets from each other, and we don’t argue. But that doesn’t mean that we don’t have moments where our lines of communication go haywire, and misunderstandings abound. We love each other enough, though, to do all the work we can to ensure the endurance of our relationship. We do have our happily ever after, and we are both committed to making it last.